The Antwerp publishing house Officina Plantiniana (Plantin Press) was the birthplace of many important early modern botanical treatises. Throughout the sixteenth and seventeenth centuries, the masters of the press commissioned draftsmen and cutters to make approximately 4,000 woodblocks that contain images of plants. 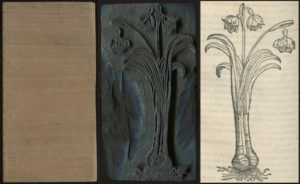 These blocks were used to print the illustrations in the botanical publications of the three Renaissance botanists—Rembert Dodoens, Carolus Clusius, and Matthias Lobelius. The woodcuts became one of the bases of early modern botanical visual culture, generating and transmitting the understanding of plants throughout the Low Countries and the rest of Europe. 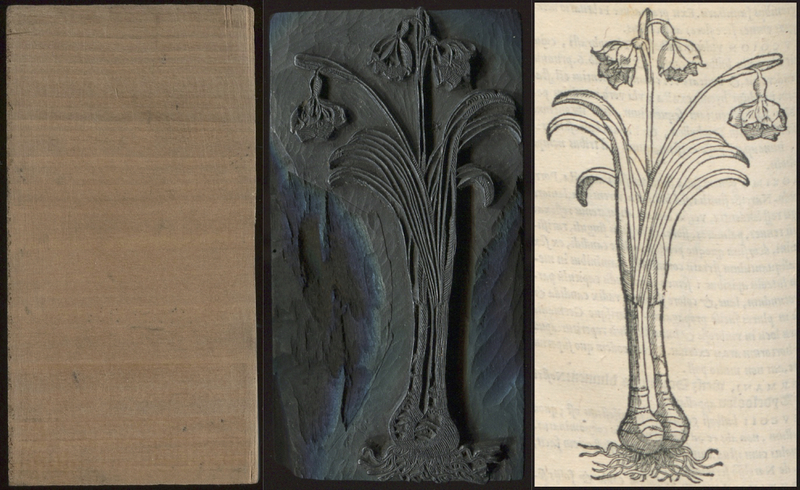 The physical blocks, which are preserved at the Museum Plantin-Moretus in Antwerp, thus offer a different perspective into the development of early modern botany via the process of image making. By examining the printing history and the technical production of the 108 woodblocks made for Dodoens’ small herbal, the Florum (1568), this Master’s thesis attempts to answer the question of how the process of making and printing the woodblocks impacted visual botanical knowledge transfer in the early modern period. It aims to gain a deeper understanding of the mechanics of producing and printing woodcuts. It reconsiders the hierarchy of contributors in the generation of botanical knowledge by studying the different stages and the complex network at the Plantin Press that were crucial to create the important botanical treatises. Furthermore, and in a broader sense, it strives to shed more light on the role of the printing matrixes in early modern knowledge making in the Low Countries and throughout Europe. (2018) “Printing matrices as a source: Studying the botanical woodblocks at the Museum Plantin-Moretus.” De Gulden Passer 96 (2): 245–259.